The Manhattan is the drink that made me love whiskey. That’s saying a lot, since the first one I ever ordered cost about $5 from a bar that makes its money on PBR and Old Style. 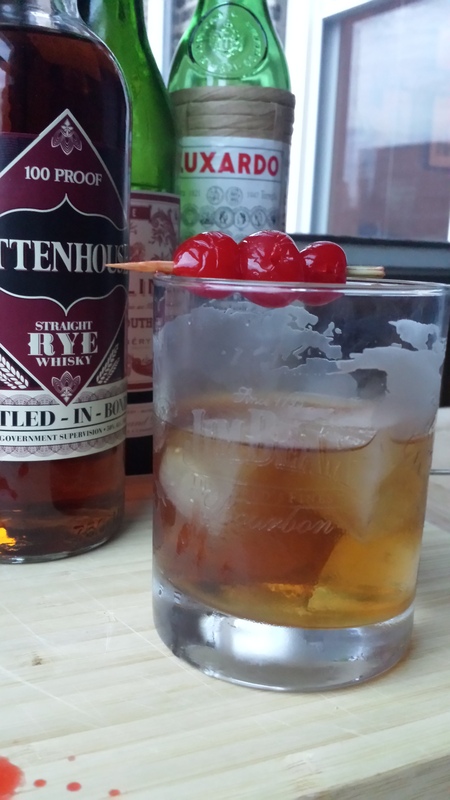 Still, I got hooked on the sweet, mellow flavor and soon began whipping up Manhattans at home with Four Roses Yellow Label bourbon and Dolin Rouge sweet vermouth. 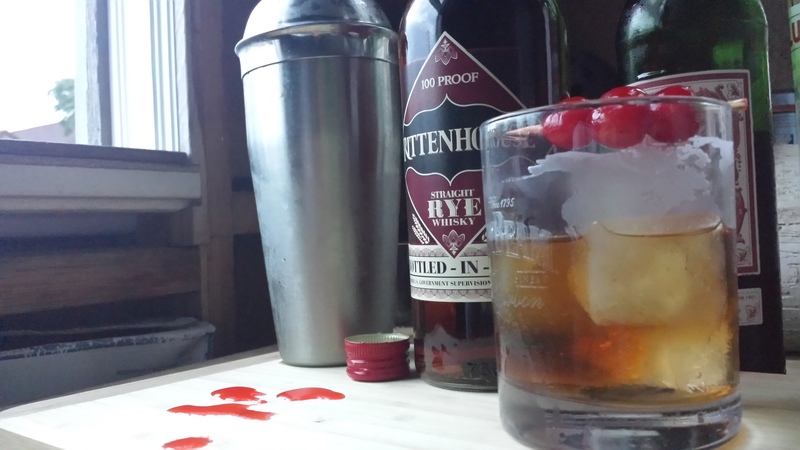 Fill a shaker or pint glass with ice and add the rye, sweet vermouth, and bitters. Stir until well chilled. Strain into a lowball glass filled with two Luxardo ice cubes and two regular ice cubes. Garnish with a skewer of cherries. This drink is definitely a belly-warming sipper, which gives the ice time to melt a little and infuse your Manhattan with a subtle cherry flavor. Feel free to add more Luxardo cubes if you’re a cherry fiend. Enjoy! Hello, I have just stumbled across your wee corner of the internet, and I love it. Cocktails and sewing what more could a girl ask for from a blog.